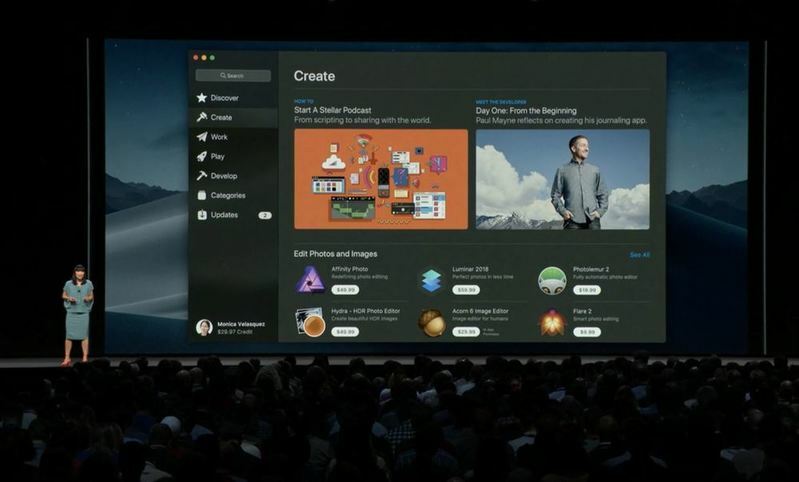 "This year we are turning our attention to the Mac App Store." "Since it launched in 2011, it has changed how we download and install apps for our Macs." "We've redesigned an all-new Mac App Store from the ground up." "It's got a beautiful UI that should feel familiar but new." 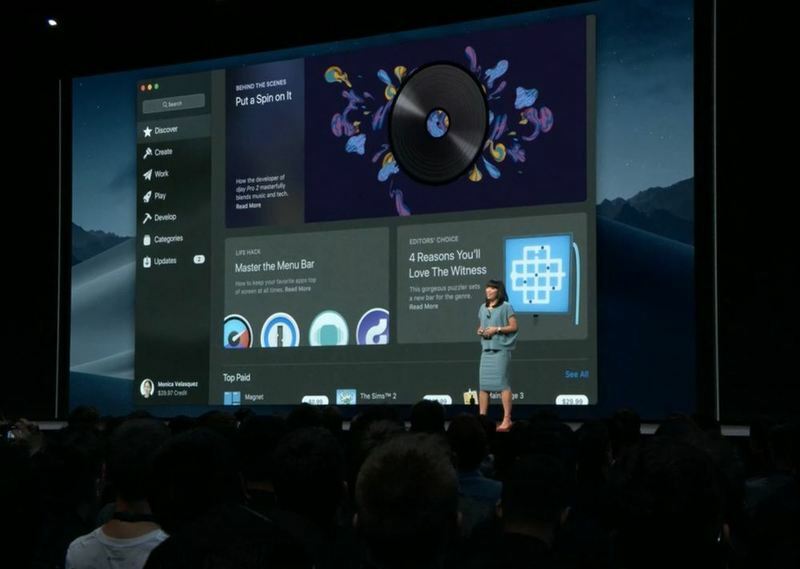 "Starting with the new Discover tab with info about new Mac apps and can see what's popular with top app charts." "Helpful videos autoplay so you can see what apps are capable of before downloading them." "These tabs will also help you make the most of apps you already have with tips and tutorials even the most experienced users find helpful." "You can still browse by category in the Categories tab." "Ratings and reviews are now front and center. We're introducing a new ratings and review API for Mac apps." Create, Work, Play, Develop. iOS App Store just basically splits into Apps and Games. Microsoft will bring Office 365 to the new Mac App Store later this year. Adobe will bring Lightroom CC. Panic is bringing Transmit and Barebones is bringing BB Edit. "We can't wait for you to check out the all new Mac App Store." 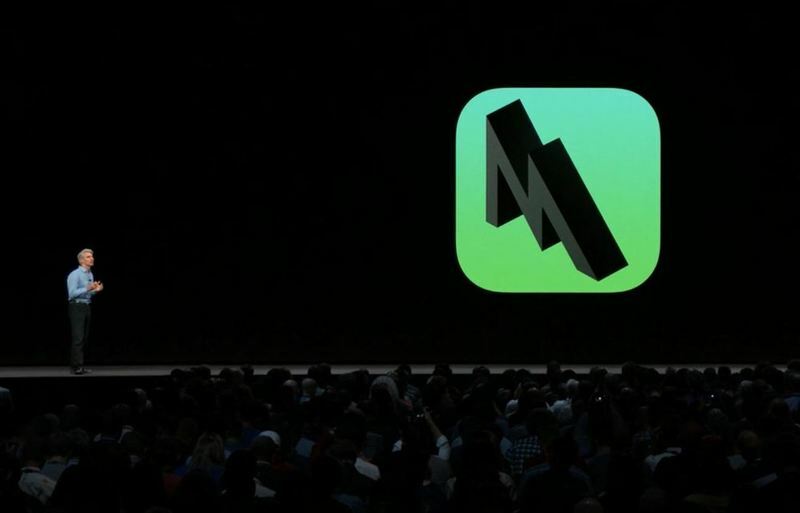 "We think the Mac App Store will inspire all new generations of apps." "Metal also enables these games to scale to take full advantage of modern Macs. Across iOs and Macs, there are over 1B metal devices." "We've recently added support for external GPUs." We're looking at a demo of a Unity game. Walking through a forest "that's all rendered live on a MacBook" running an external GPU. "Another place we're doing incredible acceleration with Metal is in machine learning." "We're seeing speed-ups of 20 times using GPU instead of CPU"
"We're also making models run much faster on device by using Core ML 2. 30% faster in on-device processing." This is interesting. Aims to accelerate machine learning uses in development on Mac. 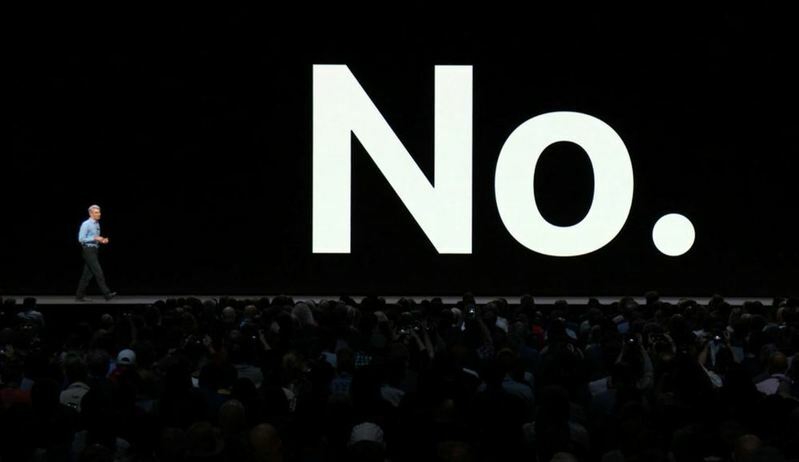 "The fact that the Mac and iOS share so much technolgoy has led people every year to ask the question - are you merging MacOS and iOS." "I'd like to take a moment to briefly address this question. No! Of course not!" At last, the "merge Mac and iOS?" question. Answer: "No, of course not." "We'd like to give you a sneak peek of a multiyear projet we have going on." A sneak peek of a multi-year project for Mac to tap into iOS. "It's called iOS. There are millions of iOS apps out there. WE think some of them would be absolutely great on the Mac." 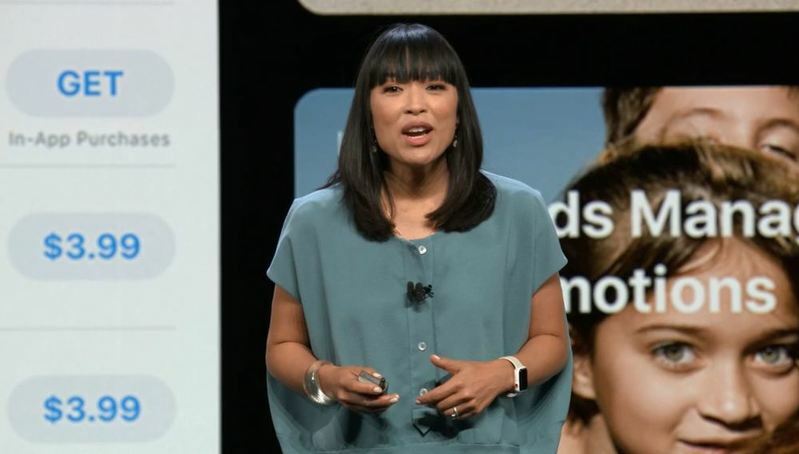 "iOS devices and MacOS devices of course are different. That makes porting an app from one to the other some work. We wanted to make that much easier. We've taken some key frameworks from iOS and brought them to the Mac." Phase 1 of this effort is to test it on ourselves. 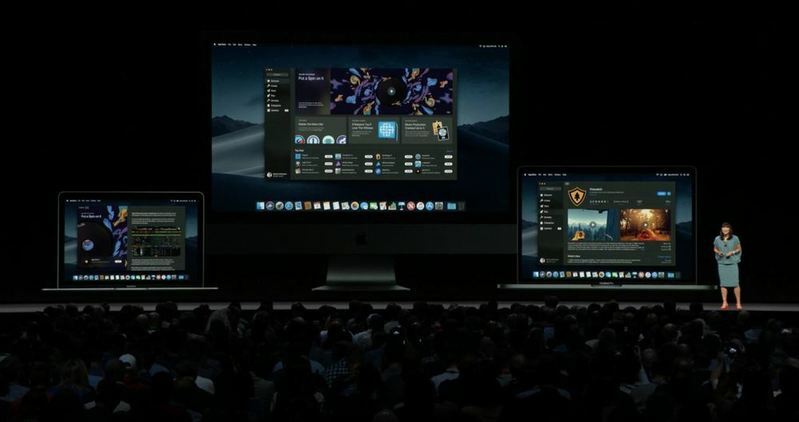 This year in MacOs we've taken some of our own iOS apps and brought to the Mac. You've heard about some of them earlier today. News, etc.